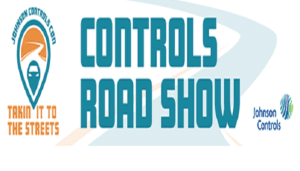 Johnson Controls Con is Hitting the Road! Taking it to the Streets! 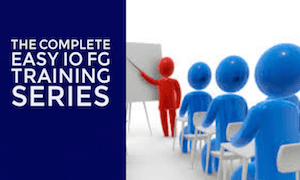 Verasys – Hands on training and instruction on Verasys VAV & COBP systems, IOM, LC-VAC1001 Lighting controller, and application controller for constant volume, chiller & boiler applications. Refrigeration – Hands on training and instruction on A525 electronic refrigeration controllers with Adaptive Defrost, MR5 Series Panel Mount Controllers with Adaptive Defrost, and QREV Quick Response Expansion Valve. Johnson Controls Critical Environments (Triatek) – Hands on training and instruction on Room Pressure Controllers & monitors, central monitoring stations, and lighting panel controls. This class will also feature an introduction into Venturi air valves, fume hoods, fume controllers, and fume hood monitors. 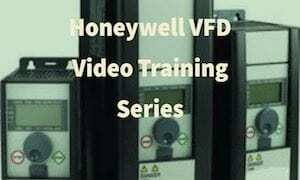 Series III VFD – Hands on training and instruction on installation, programming and commissioning of Johnson Controls Series III drives. During the Roadshow we will be offering an on-going product showcase that will also feature a discussion theatre. This theatre will feature short presentations on the current state and future outlook of the controls product portfolio of Johnson Controls. 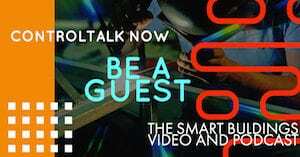 To join us, click on the appropriate link below. Once on the site, learn more details about the roadshow agenda and training sessions offered in each city. You’ll also be able to reserve hotel accommodations. 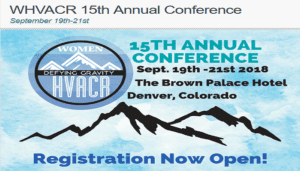 Don’t miss out – register right away to secure your spot! You will receive an email confirmation immediately after completing the online registration. Should you have any questions or require registration assistance, please call Johnson Controls Travel Headquarters at 800-508-4563 (toll-free) or 636-827-5973 (direct). Reduce Your Total Cost of Ownership: Easy-to-use controls maximize energy savings and extend equipment life—reducing operating costs. Gain Maximum Efficiency Up Front: Plug-and-play controls system cuts installation time and complexity. Simple interface delivers vital building data for immediate control of your environment. Secure remote access makes it easy to manage your building from anywhere. Turnkey solution offers installed cost savings. Make/Enable Long-term Operating Improvements: Advanced level of control provides flexibility for scheduling, alarming, setpoints, and more. Predictive detection allows you to take a proactive approach to servicing your system. Early issue identification supports quick response to minimize downtime. 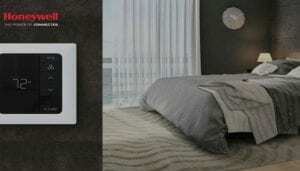 Honeywell is Making Your Hotel Room Smarter with the e7 Smart Thermostat. You already have a smart home, and now, you can have a smart home away from home. Thanks to the launch of Honeywell’s next-generation thermostat for the hospitality industry, you’ll now be able to control the temperature not only of your bedroom, but of your hotel room, too. Meet the new Inncom e7 Thermostat (otherwise known as the e7), heralded as the first enterprise-grade environmental control and energy management solution that also features Amazon Alexa integrations. Acuity Brands’ Distech Controls Appoints Scott Hamilton as Vice President, Sales. Brossard, QC, March 5, 2018 – Distech Controls, an innovation leader in energy management solutions, is pleased to announce a recent addition to the company’s leadership team: Scott Hamilton joins Distech Controls in the role of Vice President, Sales. With more than 20 years of industry experience, Scott will be responsible for sales channels across the Americas, Australia and Asia, as well as the organization’s OEM channel and Distech Controls Energy Services. 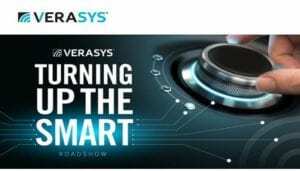 Johnson Controls Announces Verasys “Turning Up the Smart” Roadshow. Verasys® is a new kind of plug-and-play building control system with less complexity and more capabilities to help expand your business and service opportunity for your customers. The best way to fully appreciate this system, is by seeing it in action. The best way to see it in action, is by seeing it live. That’s why we’ll be crossing the U.S. to share it with everyone on the Verasys Roadshow. 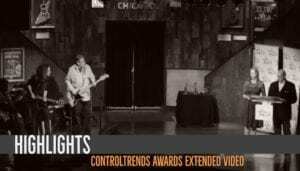 2017 ControlTrends Awards HighLight Video Extended Version. Watch eight minutes of magic as we present the 2017 ControlTrends Awards video that captures the ControlTrends Awards ceremony and night in the industry for the superstars and heroes of the HVAC and Building Automation industries. The 2017 Top Gun Awards recipients were recognized, as was the 2017 Petock Award winner Trevor Palmer, Distech/Acutiy Brands, and the ControlTrends Awards Hall of Fame inductees. Shaking Value Chains and Channeling New Voices in BAS. 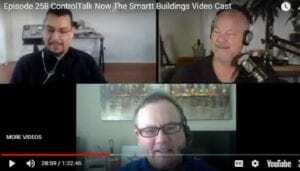 The unifying forces within the HVAC and Building Automation industries are changing. The universal laws and assumptions we held as champion truths, are no longer valid. Even the gravitational fields that kept the “constellation of value” constant in our channels — are in full flux. New galaxies are forming and steering your way through these new strong and weak interactions may be be dicey. 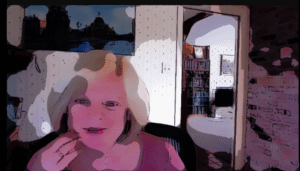 The following article by Therese Sullivan, editor of Building Context, will help to explain why. ControlTalk NOW interview with Alper Üzmezler, BASSG Managing Partner and CTO of Anka Labs, who begins with an overview of Sandstar, open-sourced offering from Anka Labs. Alper then goes into several demos. BASSG has been involved in commercial building informatics for over a decade, delivering realistic renderings, dashboarding, energy analytics programming, integrations, and other services. BASSG makes a vital contributions to the open-protocol controls industry. BASSG offers a variety of solutions for multi-protocol data transport, data visualization libraries, an editor for custom UI development, and HTML5 block programming tools — and delivers these tools as a unified environment. In mid-2016, BASSG delivered their first generation Edge Analytics Controllers (EACs) to the market. Verasys® is a new kind of plug-and-play building control system with less complexity and more capabilities to help expand your business and service opportunity for your customers. The best way to fully appreciate this system, is by seeing it in action. The best way to see it in action, is by seeing it live. That’s why we’ll be crossing the U.S. to share it with everyone on the Verasys Roadshow. 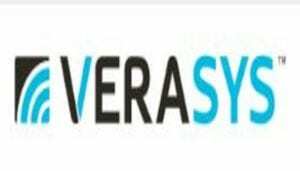 Unique, insider’s look at Verasys! Connect with the Verasys Roadshow and discover the future of smarter buildings. Register online so we can meet you in person. What should I expect at the roadshow? When and where are the roadshows? Pre-register for the locations below to get the venue and details emailed directly to you. Register TODAY to be a part of the event closest to you! 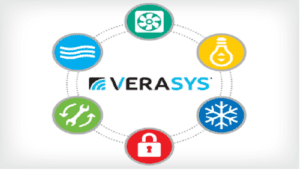 Verasys™ is the first plug-and-play experience that integrates heating, ventilation, air-conditioning and refrigeration (HVACR) equipment and controls. This one-source procurement system provides a simple user experience with configurable controllers that seamlessly connect to all mechanical and electrical equipment, controls and sensors, without requiring programming tools. The result is unprecedented real-time, remote access to critical information to ensure energy efficiency and lower operating costs throughout a building’s lifecycle. Verasys empowers contractors to offer a complete package/bundled solution of smart equipment, controls and mobile user experience. The YORK YVFA free-cooling air-cooled screw chiller is a finalist in the Cooling category of the 2017 AHR Expo Innovation Awards competition. Available in nominal sizes 150- 450 yielding more than 600TR (2110kW), the YVFA provides the industry with the first AHRI-certified, integrated variable-speed drive (VSD) screw chiller with free cooling. The chiller’s advanced technologies include VSD compressors that ensure efficient operation across all cooling-load and ambient temperature conditions. Its integrated highefficiency, air-to-air liquid free-cooling coils reduce or eliminate the need for mechanical cooling when ambient conditions allow, and intelligent controls optimize energy use year-round, constantly evaluating conditions and controlling bypass valves to reduce pump energy when free cooling is not available. YORK EcoAdvance™ is the first HVAC industry technology that captures and removes molecular contaminants from indoor air and manages the flow of outside air into a building. Integrated controls manage the flow of outside air into a building, which substantially reduces HVAC peak loads by more than 40 percent and achieves an average 20 percent in annual energy cost savings. As a result, the technology substantially reduces heating, ventilation and air-conditioning (HVAC) loads and energy costs. The YORK EcoAdvance won the prestigious 2016 R&D 100 Award, an international competition that recognizes the 100 most technologically significant products introduced over the past year. The Johnson Controls BlueStream™ Hybrid Cooling System is a new industry-leading solution that reduces water consumption in traditional cooling tower systems by 25 to 80 percent compared to all-evaporative heat rejection systems. BlueStream features an innovative thermosyphon cooler, a unique solution that addresses water and energy challenges. In addition to reducing water consumption, BlueStream maintains peak process output and energy efficiency on the hottest summer days, helping customers achieve a balance between air-cooled and water-cooled heat rejection systems, while reducing water use and operating costs. An industry first, the Johnson Controls VRF (Variable Refrigerant Flow) Smart Gateway provides unprecedented control for network management centers. Offering fast, simple integration into the Metasys® building management system, the small yet powerful gateway brings data for all YORK VRF components into a building management system for comprehensive control of the entire system. Data is available in any format and on- demand from any connected device. The VRF Smart Gateway works over Ethernet to discover all data points from YORK VRF indoor and outdoor units. In addition to the new technologies being launched at AHR Expo, Johnson Controls will feature a presentation theater, where subject matter experts will present on a variety of industry-related topics. For more information, visit booth numbers C2929, C3124 and C3329 or the Johnson Controls website at www.johnsoncontrols.com. About Johnson Controls: Johnson Controls is a global diversified technology and multi industrial leader serving a wide range of customers in more than 150 countries. Our 135,000 employees create intelligent buildings, efficient energy solutions, integrated infrastructure and next generation transportation systems that work seamlessly together to deliver on the promise of smart cities and communities. Our commitment to sustainability dates back to our roots in 1885, with the invention of the first electric room thermostat. We are committed to helping our customers win and creating greater value for all of our stakeholders through strategic focus on our buildings and energy growth platforms. For additional information, please visit http://www.johnsoncontrols.com or follow us @johnsoncontrols on Twitter. About Johnson Controls’ Building Technologies & Solutions: Johnson Controls’ Building Technologies & Solutions has an unmatched portfolio of HVACR products and solutions to create more comfortable, safe and efficient buildings. Operating in more than 150 countries through a strong network of distribution channels, Building Technologies & Solutions’ breadth of offerings help building owners, operators, engineers and consultants impact the full lifecycle of a building. Its market leadership is established through trusted brands such as YORK®, Sabroe® and Metasys® as well as its smart building integration capabilities and energy financing solutions. For more information, visit www.johnsoncontrols.com or follow @JCI_BEnews.